Full article:Japanese Used Cars Are All About Riding Pleasure And Driving Passion! Japanese Used Cars Are All About Riding Pleasure And Driving Passion! Full article:Popular Travel Memoirs You Have Surely Never Heard Of! 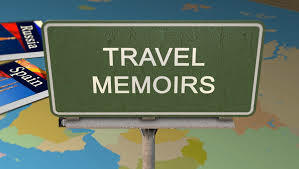 Popular Travel Memoirs You Have Surely Never Heard Of! Full article:Teen Drivers – safety week! Teen Drivers – safety week! Full article:Chevrolet Incorporates Baby Monitor In The Car! Chevrolet Incorporates Baby Monitor In The Car! Full article:Pope Uses Small Wheels As His Traveling Companion! Pope Uses Small Wheels As His Traveling Companion! Full article:Now Order Train Service From A Web…!!! Now Order Train Service From A Web…!! !